If your project calls for aerial work platforms, man lifts or a scissor lift, Daphne Rental Center has got you covered. We offer a wide selection of aerial work platform and man lift rentals to fit all of your aerial work platform and man lift rental needs. 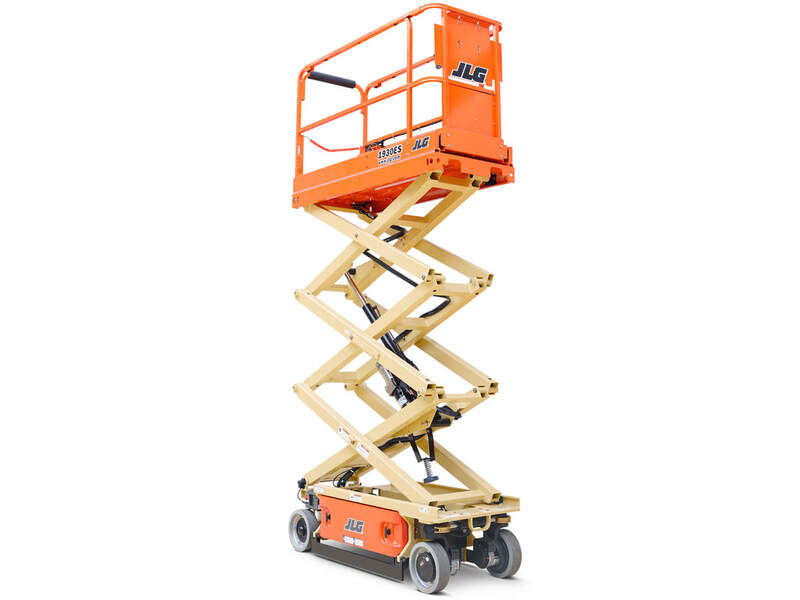 From scissor lift rentals to towable boom lift rentals, we carry it all. Whatever your aerial work platform rental or man lift rental needs, we’re sure to be able to help you out. 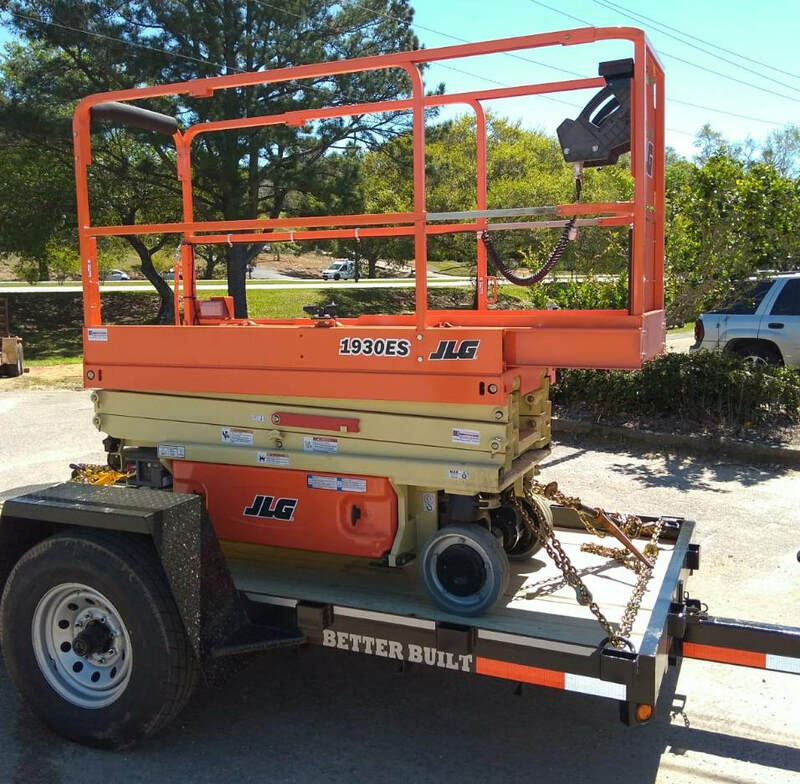 Rent our Brand New JLG 1930ES Electric Scissor Lift Shown Above! This scissor lift features quieter and cleaner operation that works in almost any environment. This modern scissor lift uses electric drive and integrated components. The unit only has two hydraulic hoses and four hydraulic fittings to reduce operating costs and minimizing the chance of leaks and service calls. Because of its narrow width it fits through most standard doorways and tight aisles. If you’re doing work that requires elevation, choosing the right aerial work platform item is paramount. At Daphne Rental Center, we offer an array of aerial work platform rental items that are sure to fit all of your aerial work platform rental needs. Some of the aerial work platform rental items that we carry are aerial boom lifts, hydraulic scissor lift tables, telescopic boom lifts, and articulating booms. Those are just a few of the aerial work platform rental items that we carry. We offer a wide variety of aerial equipment rental items that are sure to fit all of your aerial work platform rental needs. Man lift rentals are something that we specialize in at Daphne Rental Center. We carry a wide variety of man lift rental items for you to choose from. From single man lift rentals to portable man lift rentals, we offer it all. If you’ve been searching for “man lift rental near me,” then search no further. Daphne Rental Center is here for you. Some of the man lift rental items that we carry are electric man lifts, towable man lifts, boom man lifts, and indoor man lifts. At Daphne Rental Center, we’re sure to have the right man lift equipment for your project. Renting out aerial work platform and man lift equipment shouldn’t have to be a difficult task. At Daphne Rental Center, we make the rental process as easy and simple as possible for our valued customers. We make sure that our customers have a pleasant and easy experience when they rent aerial work platform and man lift equipment at Daphne Rental Center. We always go out of our way to make sure our customers are satisfied in every way possible. At Daphne Rental Center, we want you to be rest assured that you’re getting the best service possible. When you’re happy then we’re happy. At Daphne Rental Center, we guarantee to offer meticulous service in every aspect of the aerial work platform and man lift equipment rental process. Whether you’re renting scaffolding or a scissor lift table, we’re always sure to cater to your needs. At Daphne Rental Center, we know that it’s important to you to have service that is always quick, reliable, and meticulous. We take it upon ourselves to consistently deliver only the best in customer service at all times. Whatever your aerial work platform rental or man lift rental needs, we’re sure to be able to help you out in an effective and efficient manner.